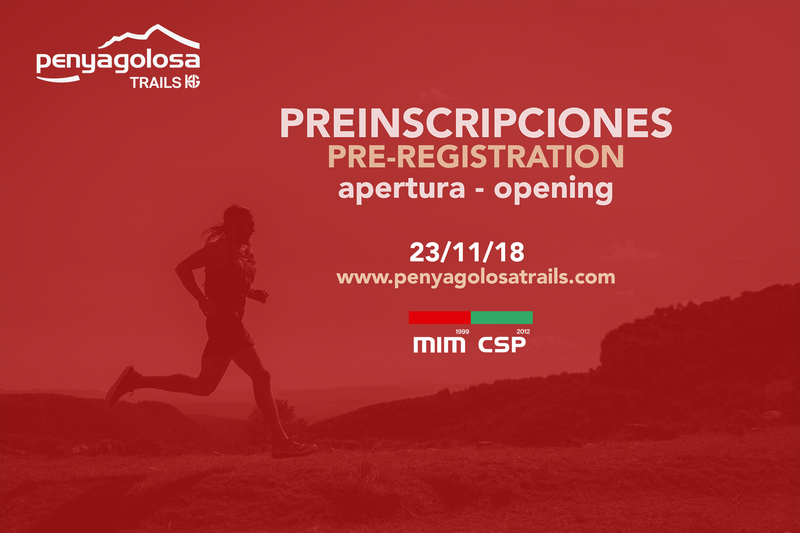 Penyagolosa Trails HG will open the pre-registration period on November 23. The pre-registration period will close on December 10 and the draw will take place on December 14. The names of the 1500 participants in the twenty-first edition of the MiM and the 600 in the eighth CSP will know after this act. It should be remembered that the limitation of 2,100 places for races is due to environmental issues of respect and care for the Penyagolosa Natural Park. Precisely the care of the environment is something intrinsic to the approach of this competition, especially careful with the natural heritage of the area both in the layout of the race, the distribution of aid stations, as in the recycling of waste and cleaning, and so on. Last year 5571 applications were registered, from 48 different countries, being the edition with the most pre-registrations. The director of Penyagolosa Trails HG, Tico Cervera, explains “with the pre-registrations and the lottery, we can say that the race starts towards a new edition of Penyagolosa Trails HG”. It also indicates that “there is a great expectation for the next edition, since the Trail World Championships that was held in 2018 has had an enormous impact on an international level and has contributed decisively to the internationalization of the event”. In this sense, we must remember that Penyagolosa Trails HG has risen in level in the prestigious international circuit Ultra-Trail World Tour, situating itself in PRO level. Penyagolosa Trails will be with the best races in the world in the circuit and will give more points for the winners, which is a great incentive to attract international runners. In addition, Penyagolosa Trails HG will again be a UTMB scoring race and will be part of the Spain Ultra Cup.